Last week our electrical devices were checked. This happens regularily as safety regulations in Germany require that all equipment is safe to work with. 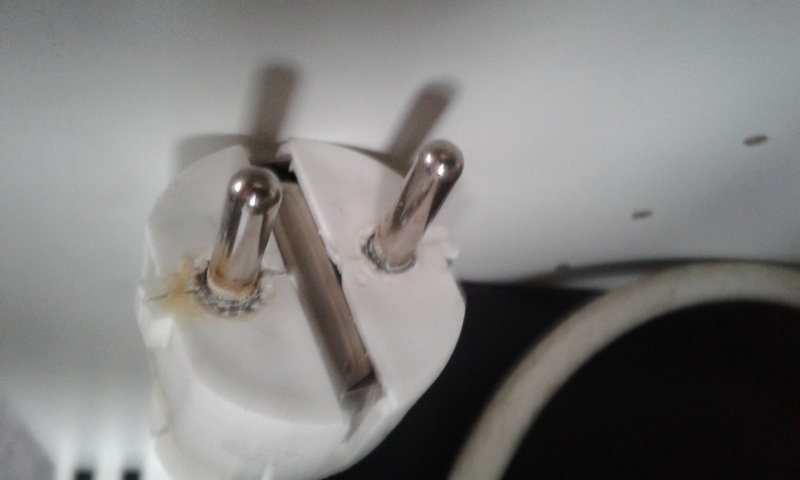 …it soldered itself to a three way adapter, the connection was nearly inseparable. Thanks for this reminder. Very important to keep this in mind. Great advice. 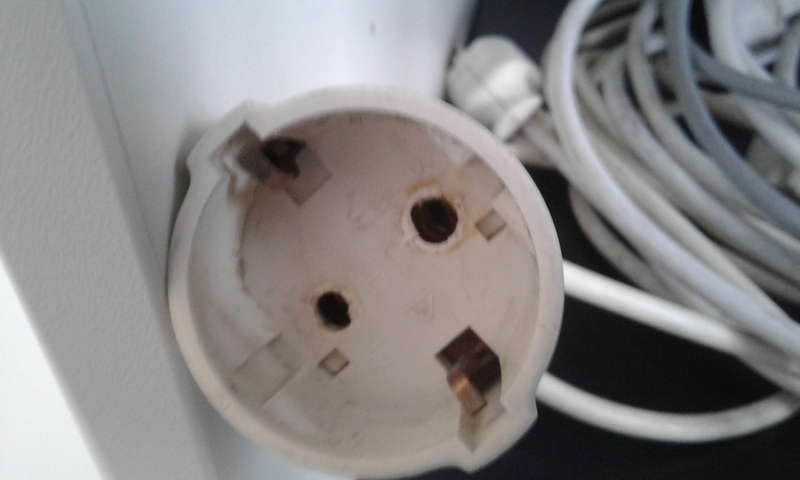 When staff bring kettles, toasters, and so on to work they seldom (if ever) bring in the newest leaving older ones with faulty power cords at home! All of these should be properly inspected by a qualified electrician before being allow in a collection housing building.